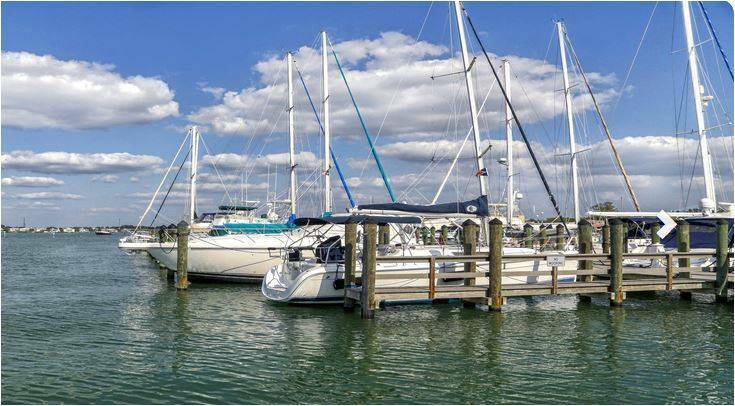 The VYC Marina is a State of Florida recognized Clean Marina (click here to read more). This recently expanded facility has 68 member slips as well as a large T-dock to accommodate visiting FCYC boaters. Our state of the art docks are complete with connections for potable water and pump out, as well as up to 100 amp electrical service. Amenities include a security system, a fire extinguishing system, and a fuel dock. Our members enjoy discounted gas and diesel fuels and full time dockmaster services. The Club’s docks are in a protected area just inside the Venice Inlet.